Gloria (Griggs) Clark Ahl, age 90, of Newark, passed away on August 15, 2018 in Newark. She was born on Sept. 4, 1927 in Detroit, Michigan to the late Edwin N. and Florence R. (Chamberlain) Griggs. 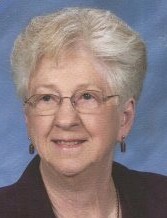 Gloria taught elementary school for 25 years, primarily in Mount Vernon. She loved to golf and travel. She also enjoyed learning; loved a conversation and was adventuresome. Gloria is survived by her three children, Kelly (Sherry) Clark of Columbus, Scott (Anita) Clark of Mount Vernon and Amy (Kevin) Rine of Newark; a sister, Janet McCalla; brother, Don (Sue) Griggs; grandchildren, Whitney Clark, Ryan Clark, Chelsea (Jason) Jones, Victoria Clark, Seth (Kylene) Rine, Jillian Rine; and a great-grandson, Josiah Jones. She was preceded in death by her first husband, Fred Clark, second husband, Wayne Ahl, two sisters, Dorothy Griggs and Evelyn Talbott. 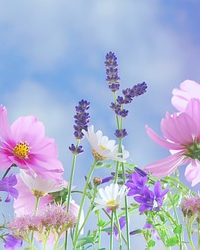 In lieu of flowers memorial contributions may be made to: Community Foundation of Mt. Vernon and Knox County, 1 South Main St., Mount Vernon, Ohio 43050 for scholarships towards early childhood education for the Mount Vernon City Schools.